Bring a large pot of water to boil. 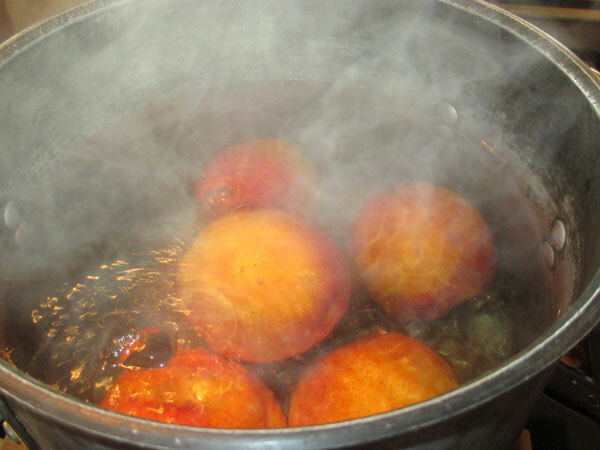 Drop the peaches in the boiling water and poach for 60 – 90 seconds, until the skin just starts to tear. Remove each peach to a bowl of ice water. 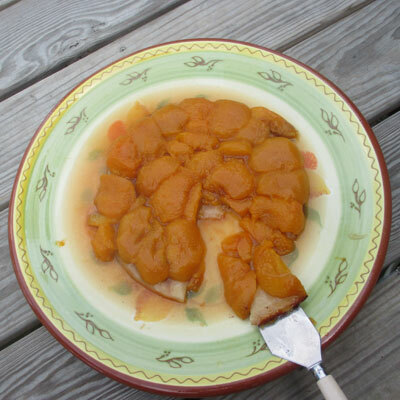 Allow the peach to cool in the water, and then slip off the skins. 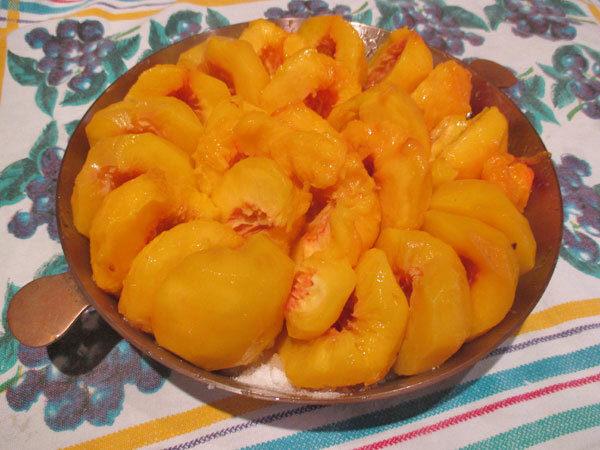 Cut each peach in half vertically, remove the pit, and set peaches aside. 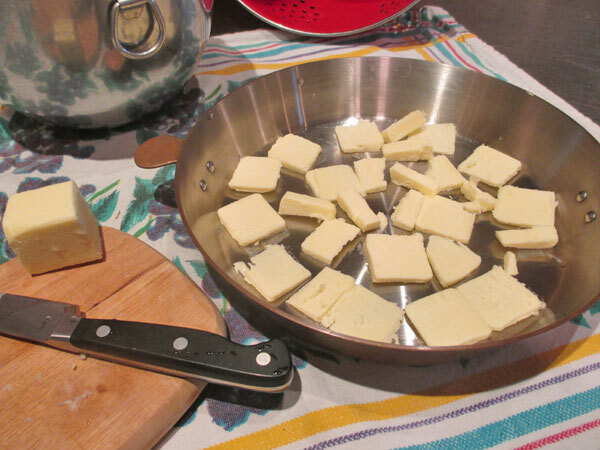 Thinly slice the butter and layer on the bottom of the cake pan. Sprinkle with the sugar. 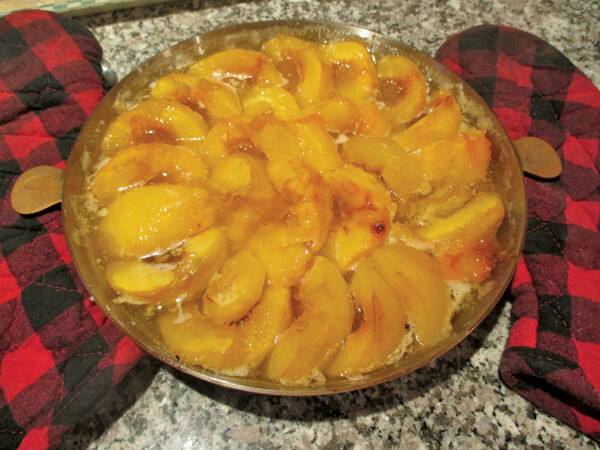 Stand the peaches up, fitting them tightly into the cake pan. Bake in preheated oven until bubbly and caramel, about 90 minutes. Remove from oven and allow to cool for 2 hours or as long as overnight. 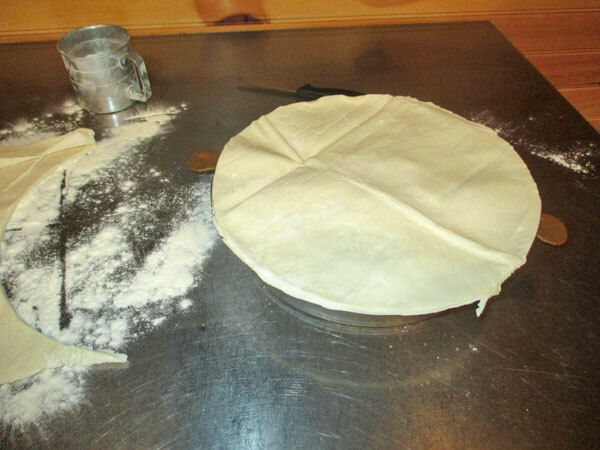 Roll out the puff pastry and cut a 10-inch circle. Drape it over the fruit, tucking in the edges. 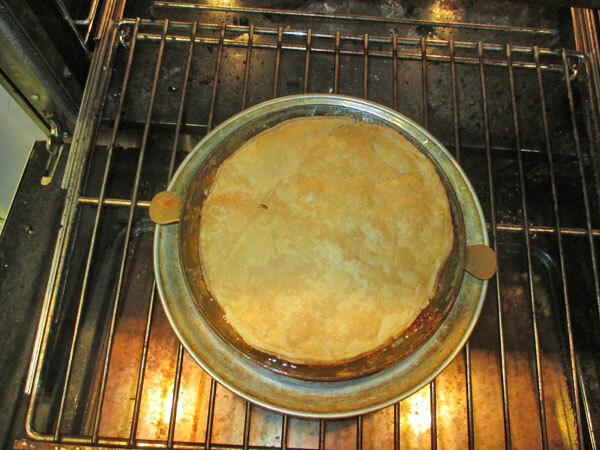 Place the tart on a sheet pan to catch drips and bake in a preheated 300-degree oven for about 90 minutes, until the pastry is golden brown and the fruit is bubbly. Remove from oven and allow to cool and set up. To serve, invert on a plate and cut into slices. Nutritional analysis per serving: 225 calories, 2 grams protein, 30 grams carbohydrates, 11.5 grams fat, 76 mg. sodium, 2 grams fiber.